Field status variants are used in many places of SAP. In FI modules field status groups (or FSG) are used for General Ledger masters, Customer Masters, Vendor Masters, Asset Masters and posting Keys. In this article we will be discussing Field status variant created for General Ledger masters. While creating a general ledger master the right field will be displayed as per the settings done in FSG under a field status variant. If the fields are selected as suppressed then you can not see the field there. 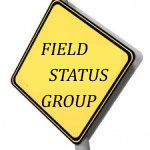 If a field is optional in the filed status variant then the field will not be a required entry. If it’s selected as display then the field will only display the value and it can not be changed or modified. If the field is selected as required then it’s a mandatory entry and system will not allow you if you don’t select any value to it. Example: For General Ledger Master Creation the FSGs are maintained by transaction code OBD4 while creating the account group. If you double click on the FSGs groups of a particular account group then the options will be shown to you. Any field you suppress there will not be shown to you while creating the GL master through transaction FS00. If you go back and make it optional then the field will be displayed and will have an option of optional entry. If you do not know which field status variant is assigned to your company code then you can check that either by checking the assignment settings or through the companies global settings. To check field status variant assignment to company code, you can use transaction code OBC5. To check the company code global settings for field status variant of a particular company code you can use transaction code OBY6. Fields related to the company code segment of a general ledger master are managed from the account group segment of the chart of accounts. For general ledger master creation, we define FS variant and that get assigned to the company code. Under one FS variant there are number of FSGs created which get assigned to the general ledger account master based on the type of accounts we create. Your have two options for creating a FS variant in SAP. Either you can create a brand new one on your own or copy the existing SAP delivered standard variant and just change the name and addresses to make it your own unique variant. Copying the existing FS variant is advised as these variants are dependent on so many related tables and by copying the existing delivered standard variant we are just using the SAP delivered table link. You can assign only one FS variant to one company code i.e. one company code can be assigned to one variant but the same field status variant can get assigned to many company codes. If you do not want to create it then SAP standard field status variant can also be used and assigned to your company code. You can also assign this variant through transaction code OBY6. Against your company code you can enter the field status variant created and save it to get it work for you. By double clicking on any of the account group created you can see the field status variant. These fields manages the company code segment of the general ledger master.